Revised National Tuberculosis Control Programme (RNTCP) Gandhinagar Published Recruitment Advertisement for Senior Tuberculosis Laboratory Supervisor (STLS) Posts. View More Information like Total Posts, Posts Name, Age Limit, Qualification, Application Last Date, How To Apply etc.. are Given Below. Required Qualification : (1) Graduate (2) Diploma in Medical Laboratory Technology or Equivalent from a Government Recognized Institution (3) Permanent Two Wheeler Driving License & Should be able to Drive Two Wheeler (4) Certificate Course in Computer Operations (Minimum Two Months). 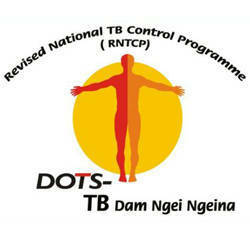 Additional Qualifications : Minimum One year Experience in RNTCP. Address : District TB Center, Civil Hospital Campus, G-2 Block, First Floor, Civil Hospital, Sector-12, Gandhinagar.